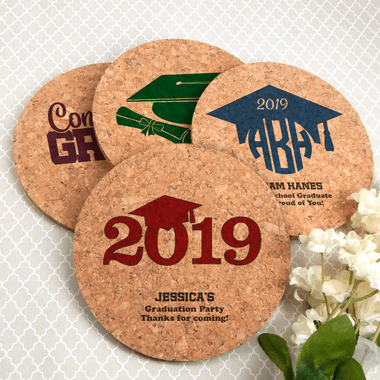 Your guests will use these custom cork coasters at your party and take them home as graduation favors. Your 4" round coaster favors may vary in color and thickness because they are made of all natural cork. 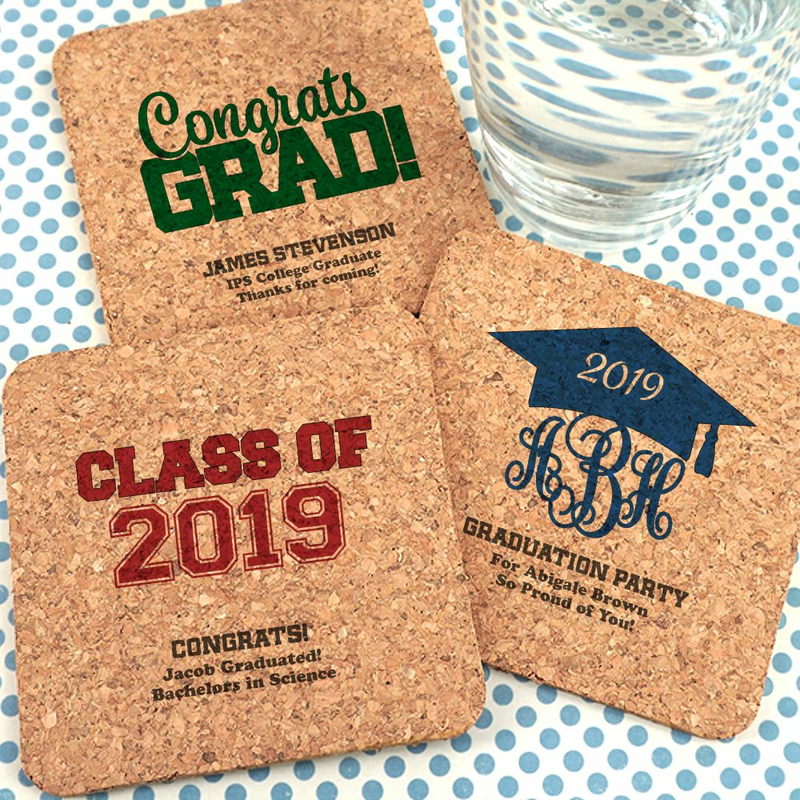 I was very pleased with the coasters I ordered and felt good about giving them as favors for my son\'s graduation party. GREAT CUSTOMER SERVICE, ALL QUESTIONS ANSWERED AND RECEIVED ORDER VERY FAST! HIGHLY RECOMMEND THE PERSONALIZED COASTERS.